Former Glamorgan wicketkeeper Adrian Shaw has joined the Welsh county's coaching team under new head coach Robert Croft. 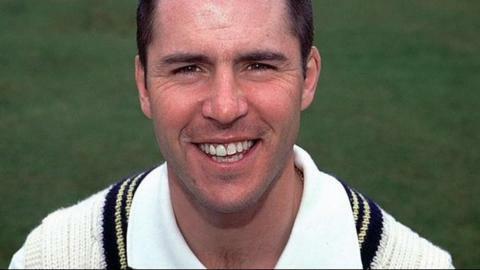 Shaw was a team-mate of Croft's in Glamorgan's County Championship winning side of 1997. The 44-year-old will support the seconds and first team as well as the academy squad. "As far as I'm concerned this will always be my club," Shaw said. "There's some good young players coming through, so to build on this and help their development towards the first team is great news." Shaw was previously appointed head coach at the county in 2007 but was subsequently replaced by Matthew Maynard. Former captain Croft, 45, was elevated to the top role after the December departure of Toby Radford. Shaw, who had already been working with Glamorgan's academy youngsters, joins Steve Watkin, David Harrison and Richard Almond in Croft's coaching team.